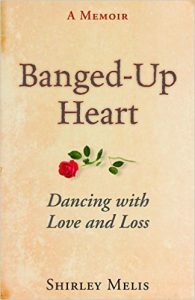 Banged Up Heart by Shirley Melis is a memoir about two strong-willed people whose relentless mutual attraction chips away at their individuality. When they discover that they are happier together than apart, their relationship is born. The memoir continues past consummation, into a marriage fueled by an unquenchable thirst to live life to its fullest. From the beginning, John’s rare form of cancer hung over the marriage like a sword. Instead of slowing them down, the threat egged them on to passionately engage in culture, nature, friendships, and each other. Both of them were on the cusp of retirement, anyway. So they seized this opportunity to cut short their successful careers and devote the rest of their lives to each other. Then time ran out. In a breathless chronology, the author leads us blow-by-devastating-blow through her husband’s medical setbacks. 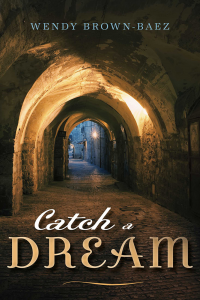 Shirley Melis relies on the skills she honed during her career as a professional writer to pull readers into the details of their bliss together and then their frightening ordeal. She used scenes supported by dialog and contemporaneous material (letters and journal entries) to cut away the distance between reader and writer and allows us to enter her world. The couple’s care for each other turned John’s downward slide into another chapter in their passionate love story. While their doctors fought his disease with the full weight of medical science, Shirley and John threw their full weight into trust in the future. They were determined to defy mortality and make plans for the next adventure. The power of love transforms the ending of their story into a sort of crescendo. To satisfy readers, the ending of a memoir must wrap up the entire story in a way that allows the reader a visceral reaction—goosebumps, say, or a smile—that inspires them to recommend it to a friend. Banged-Up Heart achieves those goals in a way that surprised me. In just about every memoir about loss I can think of, death takes place early enough in the book to allow plenty of time for the author’s recovery. This bridge from death back to life is one of the great gifts that grieving authors give to the rest of us. Examples are plentiful. Susan Weidener’s memoir, Again in a Heartbeat, is also about a marriage ended prematurely by cancer. Like Banged-Up Heart, Weidener’s memoir shares the entire life span of her relationship to her husband, from the romance, through building a life together, and having children. Then the ripping away of a too early death. Weidener’s memoir, however, goes on to the next stage in her journey, as she tries to rebuild her life. Rebuilding is the entire focus of Kate Braestrup’s memoir, Here if You Need Me. We barely meet Braestrup’s husband, who was killed in a freak auto accident at the beginning of the book. The lion’s share of the story describes the author’s long journey back, raising her kids and growing as a person. In the end, she offers a lovely perspective on the nature of good and evil, providing readers with the gift of her own hard-earned wisdom. Memoirs about the death of a child also guide us through death’s aftermath, as the authors strive to cope with their devastating loss. For examples, check out any of these moving memoirs: Losing Jonathan by Robert Waxler, Leave the Hall Light On by Madeline Sharples, Swimming with Maya by Eleanor Vincent, Life Touches Life by Lorraine Ash, and Angel in my Pocket by Sukey Forbes. Well-defined story arcs about loss and the subsequent grieving process have earned an important place in my taxonomy of memoir subgenres, because each one provides wisdom regarding this fundamental journey of the heart. I assumed that Banged-up Heart would similarly explore the arduous climb back to sanity and acceptance. But as I approached the end of the memoir, John was still battling for his life, and both of them were still struggling to visualize their adventures after he recovered. During this period, Shirley was too focused on hope to spend time grieving. As the pages flew by, I began to wonder how she would have room to wrap up the story. In my impatience, I felt there were many details that didn’t add momentum to the story. Yet I carried on, drawn forward by the compelling writing, and my empathetic connection with this terrifying situation. Amid so many upheavals and disasters, I wanted to learn as much as possible about Melis’ thoughts. In every other grieving memoir I have read, the nuances of the author’s interior landscape were crucially important. For me, that is the payoff for reading a story about loss. I want to accompany the author on this noble search to reclaim a sense of meaning. But instead of emphasizing her inner landscape, the author focused mainly on what was happening around her. During this run-up to the end, with John in his deathbed, Shirley beside herself with worry, and me juggling my own expectations about where this was going, the story took a surprising turn. The result dashed my expectations and broke out of the “grieving story arc.” And it did so in a most satisfying way. Like the final moments of the movie The Sixth Sense, which shifted the premise of the entire story, the ending of Banged-up Heart caused me to toss out the expected storyline of a grieving memoir. By ending the book the way she did — not with feelings of loss, but with admiration and love for her husband — the intent of Melis’ book instantly flipped. This was not the journey of sorrow and recovery, which I had expected, but a book about courage, respect, mutual support, and how two loving people can create life in each other’s eyes. Although the story structure was unconventional, in the end, the book met my expectations after all, by offering me the two great gifts I expect from all satisfying memoirs: first, the life and mind of the author, and second, deep insight into a universal aspect of human experience. By letting me into her life she showed me the unique nuances of her situation. She met and fell in love with John while still trying to recover from the death of her first husband, complicating her approach to grief. John was an unusual character, full of complex ideas and extraordinary talents. Their relationship was only a couple of years old. These individual variations gave me a sense of being with a specific person, at a specific time. These specific features of their love offered me a fresh perspective on the universal experience of loss. The emergence of universal insights out of the cauldron of individual experience is why I love memoirs so much. Love is one of the great driving forces of human experience. Some even say that love is the primary force and that all other emotions derive from it. And yet in the memoir genre, love is usually neatly tucked behind the thoughts, dreams, and needs of the protagonist. Shirley Melis’ memoir Banged-up Heart brings love out of its supporting role and places it front and center, as the hero of her story. Let’s Take the Long Way Home by Gail Caldwell — Love and loss of a friend. 100 Names for Love by Diane Ackerman — Her tribute to her husband mixed with the caregiving and cognitive rehabilitation after his stroke. fixer-upper in sunny Spain, instead of hating the hardship they laughed. I worried that their frivolous attitude missed the opportunity to make some serious points. To learn more about this adventuresome couple, I read another of their memoirs. 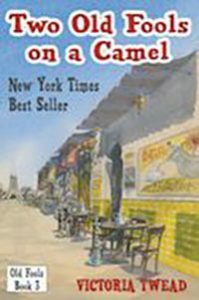 In Two Old Fools on a Camel they moved from their by-now cozy village in Spain to a concrete building in the desert of Bahrain. In their new, barren surroundings, they were to teach kids of edgy, rich parents. They did this to earn money. That’s a scary twist. What happened to the golden years when you could retire to a life of leisure? To add to the discomfort, during their visit, a political uprising briefly shut down the country. After considering both memoirs, my worry about their serious purpose began to evaporate. I could see that underneath the humor was a willingness to go out on demanding adventures. Their fearless attitude fits perfectly with my understanding of the Hero’s Journey. I first learned about the mythical basis for modern storytelling from Chris Vogler’s book, Writer’s Journey: Mythic Structure for Writers. Once I recognized the universality of the Hero’s Journey, it was easy to see its fingerprints all over my favorite memoirs. (I go into more details of this idea in my book Memoir Revolution. The Tweads, like so many memoir authors, follow the Hero’s Journey model closely, going forth into the land of adventure. In their case, first into Spain and then into Bahrain. Unlike mythical characters, the heroes of memoirs search for psychological achievements. For the Tweads, the quest was for dignity in midlife. And like heroes in myths, the Tweads were willing to accept major discomfort during their pursuit. In fiction, our heroes usually deal with discomfort by ignoring it. For example, in John Wayne’s war and western movies, the actor was famous for appearing to simply not care about extraordinary discomfort. In real life, though, the rest of us need to develop coping methods. This is where the Tweads took me into new territory. They used humor, and even went so far as to pull practical jokes. For example, teaming up with fellow teachers, one of them dressed up in an outlandish costume, and then hid. When an unsuspecting victim entered the room, the trickster jumped out, trying to scare the daylights out of the newcomer. After reading hundreds of memoirs, I can’t think of another one in which the hero uses practical jokes to break the tension. (See note below) At first, I feared the zaniness of their approach reduced the gravitas of their serious work. Aren’t practical jokes for children? Aren’t we supposed to outgrow that impulse? My misgivings evaporated after reading a scholarly book on the subject. Trickster Makes this World: Mischief, Myth, and Art by Lewis Hyde. Hyde’s book shows how pranksters form an important theme in mythology. Because the Trickster messes around with the values of society, Western civilization has spent centuries trying to suppress this impulse. Despite this effort to stamp out the Trickster, he or she routinely appears in mainstream culture. First of course, are the practical jokes of children. In adult life we see the Trickster alive and well in horror movies, Halloween customs, and slapstick comedy. Victoria Twead’s use of pranks to survive adventure offers a refreshing, upbeat spin on this fundamental notion of trickery and surprise. The final stage of the mythical Hero’s Journey involves the hero’s return to the community to share hard-earned lessons. This is in fact the task of every memoir writer. Each of us invites readers to learn from our experience. Victoria Twead does this as well, and like everything else she does, she goes the extra mile. In addition to passing her messages to us by writing many books , Victoria Twead shares herself on the Facebook group she co-founded with Alan Parks, (see note) . It was in that group that I discovered yet another dimension of Victoria Twead’s commitment to humor. In the Facebook group, she sets a light tone, asking members to leave their serious intentions at the door, before entering. Through these policies, the Facebook group attempts to bring a “party atmosphere” to the internet. The levity on the Facebook group confused me in a similar way to the levity in the memoirs. “It’s too light,” I worried. “Where are the intense discussions about the meaning of life?” Finally, I accepted that group members have been invited to this gathering, not to ponder but to party. The Facebook group is devoted to celebrating the joy that memoirs bring to writers and readers. I learned quite a bit about celebration during the sixties, when, in the pauses between anti-war demonstrations, we often got together for parties. Fifty years later, Victoria Twead and her cohorts on We Love Memoirs apply the notion of celebration to the internet. It turns out that partiers, like tricksters, have roots that extend to the very beginnings of human culture. In the book Dancing in the Streets: A History of Collective Joy (see link below), social historian Barbara Ehrenreich traces celebration from the free-wheeling hoopla of pagan rituals. Similar to the way Western civilization tried to suppress the Trickster, there was a centuries-long effort to stamp out public celebration. In modern times, public revelry has been corralled into special holidays, such as New Year’s Eve and Mardi Gras. Perhaps, if Ehrenreich is watching, she might add a chapter in her book on celebration to include We Love Memoirs, and other internet attempts at partying. After thinking about the Twead’s memoirs, I’ve discovered plenty of serious lessons. They harnessed the myth of the Hero to charge into life with full vigor. They used the myth of the Trickster to help them survive the discomforts of their adventures. And after they returned they used the ancient system of Story to share their adventures with us “couch warriors.” Finally, they gathered us together on the internet to for public revelry. Even the Two Fools in the titles of their memoirs raise a serious issue. In ordinary usage, the word “fool” is a put down, but I don’t see the Tweads that way. I think they are more like Shakespearean fools. In Shakespeare’s plays, while most of the characters were caught up in the drama of the moment, the Fool was the one who lightly danced on top of reality and revealed the truth. If Victoria Twead and her husband are Fools, maybe we would be smart to follow in their footsteps. Many aspiring memoir writers wonder if their lives are sufficiently interesting to justify a whole book. But we’ve all experienced the building blocks of good stories if we’ve ever felt shame, dashed hopes, fears or personal conflict. A well-crafted story weaves these less pleasant elements of the human experience together with ordinary events to turn the mundane into the sublime. For an example of the way emotional undercurrents transform everyday life into a good story, read Anne Kaier’s memoir Home with Henry in which the author rescues an injured cat and brings him home. After she saves his life, she turns her attention toward his social health. She wants him to become a congenial member of the family. Despite this lightweight exterior, Anne Kaier’s story is driven by emotions every bit as powerful as any in the human panoply. Home with Henry is a meditation on human existence, and how the love that seeps into our hearts, even from a humble source, has the power to turn despair into joy. For a memoir junky like me, the book is also a meditation on life stories, showing that emotions of love and loneliness shine just as brightly off simple circumstances as they do from more serious ones, the way a diamond brilliantly reflects sunlight when held at just the right angle. Fiction accentuates emotion by focusing on isolated, exaggerated events. Consider for example Ernest Hemingway’s, The Old Man and the Sea in which a fisherman goes out for the day’s catch. He tries his best and comes home with a pile of bones. Old Man and the Sea generates intensity with grit, determination, and the cruelty of nature but beneath the macho exterior, there is an old man who seeks his dignity. Home with Henry, like Old Man and the Sea, isolates a feature of life, and goes deep. Every day, the author struggles to coax the cat out of his self-protective stance and into a relationship. Externally Anne Kaier’s urban townhouse seems far more placid than a shaky fishing boat. Her emotional struggle with the cat seems far less dangerous than fighting off sharks. And yet within her ordinary circumstances, she struggles to find her dignity with no less urgency than Hemingway’s fisherman. Since Anne Kaier also writes poetry, I expected her memoir to be informed by a poet’s mind. But I didn’t know what a memoir written by a poet would sound like. After reading it, I see how her deliberate, almost poetic fixation, word by word, phrase by phrase, constructs a narrative that shapes the ordinary feelings of loneliness into the structure of a good story. William Shakespeare’s sonnets offer an example of how a poet turns an ordinary emotion into a sublime tribute. How can so much profound power be contained within the events that we take for granted every day? Another poet, William Blake, explains it this way. You can see the world in a grain of sand, an outrageous claim that is demonstrated over and over, not just in poetry but in stories as well. Ernest Hemingway reveals his hero’s soul in one day of fishing, and Anne Kaier explores her soul through her relationship to a cat. What makes her childlike voice so haunting? Every writer searches for a voice that will linger in the reader’s mind, inviting imagination back to the story the way a good song plays out in memory long after the physical recording stops. Anne Kaier’s voice provokes thought, and it lingers. What is it about this voice? The backstory of Home with Henry is that Anne Kaier bought that townhouse alone because the years kept passing and a mate had not yet appeared. The ticking of this “clock of life” adds the dimension of mortality. This danger may not be as fast and frightening as Hemingway’s sharks, but it is no less ominous. The threat of death is the great awakener, in stories as well as in life, causing us to evaluate our actions, and choose wisely. Her life in that townhouse feels so normal, hardly worthy of a story, but in the presence of that ticking clock, loneliness feels like death, or at least like death row, waiting to be released one way or the other. Home with Henry doesn’t dwell on loneliness. On the contrary, it highlights the potential release that might be forthcoming from a cat’s company. But behind the story, there is playfulness, like laughing at a cat who stares at a dancing beam of light, with coiled muscles, pouncing with every intention of killing it, if it could only catch the damned thing. When I was in college, I fell into deep despair, fueled in part by my addiction to literature with cynical endings. Despite the misery each one provoked, I felt compelled to keep reading stories that celebrated meaninglessness. When I finally kicked the habit, I realized I could serve my own psychological needs far more effectively by looking at books as fountains of hope. I eagerly look toward the end of each one in order to replenish my supply. Throughout Home with Henry, the author tries to accept that the cat might be too ornery and independent for this type of relationship. Struggling to move past that stuck point represents the dramatic tension of the outer story. From one point of view, the outcome is utterly predictable. Even so, my story reading mind suspended me deliciously above the dark chasm of failure. At the end, (spoiler alert) instead of “girl gets guy” as would happen at the end of a romance novel, this memoir ends with “girl gets cat.” Even though it was predictable, my entire body relaxed once I was certain they were going to live happily ever after. The apparent simplicity of Home with Henry is made infinitely more poignant when you take into account how much gravitas Anne Kaier has known in her life. In a memoir workshop I attended a couple of years ago at the Philadelphia Writers Conference, she explained the rare congenital skin disease that almost killed her in infancy, and continued to weigh heavily on her ever since. In a journal article, she writes about her condition with a combination of brutal honesty, journalistic precision, and literary excellence. By reading this article, one understands the range of her voice, a range that suggests that even when an author finds one’s voice, other voices are also available. Anne Kaier’s life and work offers hope to any writer who searches for the words to express one’s life, whether in essays, a short stories, a book length memoir, or in poetry. Through the magic of creative effort, we can learn to find the words that weave the magic carpet that lifts readers away from everyday life into the writer’s transformative world. Read Anne Kaier’s runner up for Best American Essay of 2013. Reading memoirs at night often helps me drift off to sleep. This was not the case with Naked: Stripped by a Man and Hurricane Katrina by Julie Freed. The book kept me wide awake, as Hurricane Katrina smashed into the Gulf Coast with a fury reminiscent of the Twin Towers bombings, but perpetrated by nature instead of by terrorists. Just as awful for Julie Freed was the email she received from her husband announcing he was finished with their marriage. The two events together kept me frantically turning pages, seeking relief. 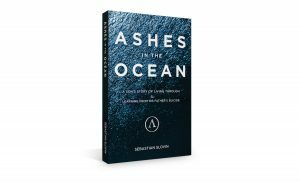 Julie Freed has used the magic of Story to transform these outrageous events into an uplifting piece of literature, leading us through upheaval and disruption back to rebuilding and hope. How did Julie Freed, a mathematics researcher and professor, learn to write such a compelling memoir? To find out, I asked her to share her secrets. Jerry Waxler: You write so well. I’d love to know how you learned. Julie Freed: There was no magic formula – I wrote a bit, thought a bit, cried a lot, edited, read out loud to capture pace, would recall pieces, plug in a related scene. It was like a puzzle assembling the pieces to make it intriguing and most important I hoped to make it meaningful.. The goal of writing was to help “me” and publishing to help others. When I felt I had an almost finished product, I sent the manuscript to an English professor for feedback. She had some suggestions and questions I addressed. She laughed because I was such a good “little student” doing everything she asked. I also sent the manuscript to a friend and former high school English teacher to make sure my commas and such were behaving. I read for pleasure, mostly non-fiction. But I most enjoy a read that makes a difference in the way I think or feel – one that resonates. Time is my commodity. I want what I read to be important for my own trajectory. And I wanted to give the same value to readers. I’m fascinated by your success. Your situation offers hope to others who question whether or not they have the ability to learn how to write their stories. By publishing your memoir, you achieved a variety of goals. You left a legacy to help your child understand what happened. You showed people that courage can carry you through the most outrageous situations. You created a story to help you convert the whole chaotic situation into a good story. But in my experience, when someone first starts to write, they don’t yet appreciate all the benefits they will achieve. When you started writing, what did you intend to achieve? Julie Freed: Initially, I wrote to get the story, the dialogue, the memories out of my head. Replaying conversations – “I should have said…” “I can’t believe he …” It was a great purging at the initial writing. I had hoped it would be healing and indeed it was, allowing me to live more in the moment without distractions from my immediate past. My daughter needed my attention and I wanted to be able to give that to her fully. When I completed a first draft I was actually surprised at the product – it was almost a little poetic. I found myself enjoying the writing process beyond the mental health exercise intended. I’d written academic book chapters, journal articles, reviewed dissertations, edited journal publications, but few had any “creative” bits. The feedback on my manuscript from family and friends was completely shocking. Some were high school and college English professors, others just heavy readers. Bottom line, I respected their opinions and encouragement. I decided I should dedicate some time to the manuscript between life, job, single motherhood, and prepare the work for publication. Jerry: In my article about Naked I already shared what the memoir did for me. But what did publishing it do for you? Did you get out of it what you wanted? Did you have any surprises about how it felt after you finished? Any expected or unexpected rewards or results? Julie Freed: I certainly never dreamed of holding a memoir I’d written. An incredible thrill to see my love, my heart, my tears, my dreams all assembled with the hope that others might enjoy and learn from my journey. As a young memoirist – still close to my experiences – some of the most tender moments have come post publication. Readers from all over the world write and connect. My heart bursts. They know me. They find themselves in my story, my struggles. To touch people like this was completely unexpected and indescribable. This does not happen with academic journal articles! I’ve made the mistake of checking email in the produce section over the asparagus and found myself weepy – a note about the real tears a stranger had reading my book, another empowered to make changes in her marriage, one woman struggling with an alcoholic husband. It’s been the ultimate gift. I’ve been able to touch others I will never meet. We are never alone! And I want every woman and man to feel that way too. Julie: I didn’t have any plans to write more. But since the publication of Naked and the feedback from writers and readers I respect – I’ve sketched a few ideas, written a few scenes. It’s a hobby for me now but perhaps I should dedicate more time – that part that remains unclear. The memoir Booked: Literature in the Soul of Me, is about Karen Prior’s reliance on literature to help her learn life’s lessons. The young woman loved literature so much she became a professor. From this vantage point, offers a deeper look at the books that influenced her. The books she mentions are well-known centerpieces of the literary canon. Each one is a great story that makes complex points. To make the experience of reading them even richer, she shows how the authors were influenced by controversies of their own times. For example, John Donne in the sixteenth century was influenced by the strange brew of religious conflict in England, when marrying into the wrong faction could land you in jail. She tells about the culture clashes between England and Ireland as well as the literary fascination with sexuality that influenced Jonathan Swift’s Gulliver’s Travels in the eighteenth century. And she delves into the conflict between sexuality and respect for women in Thomas Hardy’s time in the nineteenth century. Her memoir made me wonder what cultural influences I absorbed when I was growing up. For example, in my high school years, books by Charles Dickens filled me with compassion about the economic struggles of the poor in old England and Upton Sinclair’s novel The Jungle opened my eyes to the abuse of immigrant labor in the U.S. In my college years, though, the cultural influence of my favorite authors turned in a direction so confusing I almost lost my way. In the sixties, I dove headlong into novels by widely respected authors like Jean Paul Sartre, Franz Kafka and Samuel Beckett, whose portrayals of shattered societies and characters without hope riveted my attention. Their style differed radically from the stories I had read since I was a child. In an endless stream of mystery and science fiction books, I came to expect an upswing at the end of the story. The conclusion lifted my spirits and gave me hope. The novels and plays that dominated my college years went in the opposite direction. In novel after novel, the hope offered at the beginning had evaporated by the end. At a time when I should have been preparing for adulthood, these deep thinkers convinced me that growing up was a horrible, terrifying waste of time. I was not alone. Millions of us had been convinced by our literary giants that despair is a principle worth pursuing. To delve deeper into European cultural history of the twentieth century, I took a college course that I thought explained the misery behind this wave of nihilistic literature. Of course they lost hope when surrounded by Russian totalitarianism, two World Wars, and the horror of the Holocaust. But something still didn’t add up. Ordinarily, people would have looked beyond the misery to find some inherent good. My authors did the opposite. Each one seemed to vie for the most outrageous images, such as Franz Kafka’s boy who woke up as an ugly, person-sized insect. And they were honored for their dark excursions. Samuel Beckett won a Nobel Prize for works like Endgame in which two of three characters are legless and occasionally pop their heads out of the trashcans in which they live. Decades after struggling out of the pit I had fallen into, I attempt to understand those years. How I could have fallen so far? And more poignantly, how could society have led me along such a desperate line of thinking? Now, in Karen Prior’s brief vignettes of cultural history, I have learned an important fact that helps me make sense of the whole crazy era. At the end of the nineteenth century, despite relentless advances in science, Western intellectuals still maintained a toehold in the precarious belief in God. For proof they pointed to the mystery of life. Who else but God could have created such wonder? According to Karen Prior, the final shove came from Charles Darwin’s observation that life is the product of statistical events. After that, anyone who believed in God was viewed as a dreamer or fool. To be accepted as a serious participant in intellectual society, college grads needed to figure out how to live without God. In high school, I read a play about this dramatic shift. Inherit the Wind dramatized the famous Scopes Trial which pitted Charles Darwin against God. As an intellectual young man, I laughed at the foolishness of the character based on William Jennings Bryan, who defended God, and cheered for the brilliant character based on Clarence Darrow who swept Bryan’s arguments aside. I knew the controversy but until I read Karen Prior’s memoir, I had never considered the dark pall it placed over twentieth century intellectuals. For the first time in history, they had to navigate their lives without the guiding principle of a higher power. To do so, they had to find a new mythology to live by. The literary geniuses of the time fulfilled their need by offering cynicism as the new ideal. In the play Waiting for Godot, the characters meander in a wasteland, waiting for a savior who never comes. I followed them willingly, and when I learned from them that stories lead nowhere, I ended up with nothing to live for. So how did I go from there back to sanity? Of course, I had no choice but to read more books. During my climb back, I reclaimed my childhood image, that I can live my life as if it has an upbeat ending. To support a meaningful ending, I had to maintain a belief in a transcendent reality. The responsibility of every civilization is to pass along the rules of society to their young. The terrifying fact is that we have about 20 years in which to achieve this goal. In small, intimate tribal societies, the task was achieved through advice from the elders and the stories at the campfire. In our more complex societies, we turn to books. This is the topic of Karen Prior’s memoir. In addition to what the book is about, the very existence of her book offers an important piece of information. It represents society’s next great experiment to reclaim a personal myth. Her book is a perfect example of what I call the Memoir Revolution. By turning her life into a story, she provides us with a model of a life that is understandable, hopeful, and sharable. So Karen Prior’s memoir, Booked: Literature in the Soul of Me resonates on multiple levels. It shares the experience of one woman’s coming of age. It offers a brief overview of intellectual history. It explores the role of books in the upbringing of children. And it shows how one woman is fulfilling her end of the bargain, writing a book to pass her experience to the next generation. On your journey to grow up, you have gone through a variety of experiments, finding what works and what doesn’t. By writing your memoir, you could pass these lessons along to the next generation. What trap did you fall into, and more important, what tools did you use to climb back out? By leading readers toward the hopeful conclusion at the end of the story, you provide an image of a world that leads through effort toward wisdom.